The abrasion resistant pumps in the Centrifugal Pump Line at Phantom Pumps can meet the demands of most any trash pump, sewage pump, chemical process pump, deep well pump or fuel pump industrial application. Phantom Pumps is the pump manufacturer renowned in the industry for providing fluid processors with cost-effective pump solutions to address the escalating costs associated with fluid processing. Abrasion resistant pumps available from Phantom Pumps include patented designed slurry pumps, PL Series and XT Series low pressure pumps, PH Series and XU Series high pressure pumps, and DPUMP branded ANSI pumps. 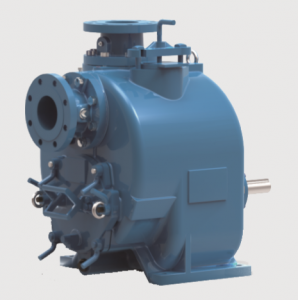 All pumps in our line meet or exceed industry standards and feature a self-priming design. For quality assurance purposes, we always assemble, test and package all pumps in the United States. We also back our pumps with one-year guarantees and maintain a large inventory of pumps and replacement parts so that we can provide quick shipment options to facilities throughout the country. DPUMP brand ANSI pumps from Phantom Pumps are the abrasion resistant pumps that are compatible and interchangeable with shallow and deep well pump models from Gorman-Rupp, All Prime and ESCO Pumps. Our self-priming DPUMPs meet all ANSI standards and are available in CD4, Cast Iron, Ductile Iron and 316SS construction. These pumps feature a back-pull out design, micrometer impeller adjustments and 20 second impeller adjustment settings. Additionally, Phantom Pumps high pressure abrasion resistant PH-Series models with solid handling maximums from 1-1/8” to 1-1/4” and impeller sizes from 11” to 12-1/2” are compatible replacements for many Durco chemical processing pump models. Contact one of our industrial pump specialists today to learn more about our pump products and services.